Hey everyone, I hope you had a good New Year's! I spent mine at a diner with my friends playing Cards Against Humanity (which seemed to be a popular game this New Years). Anyway, today I'm going to be reviewing Darling Girl Cosmetics Zombie Apoca-Lips glosses. When it comes to makeup, there's nothing that makes me reach for my wallet more than duochromes and I love that so many indies are starting to embrace the duochrome beast by developing unique color shifts. The Zombie Apoca-Lips came out as a part of a Halloween collection but I do believe they'll still be available when the shop opens up on January 7th. I ended up ordering them a few weeks ago and have spent ages trying to photograph them to give them justice. Duochromes of course are very shy creatures who have to be coaxed out into showing their beautiful shift. Darling Girl makes one of my favorite lipgloss formulas; they're on the thinner but have some tack so it sticks and the shea and cocoa butter in the formula makes it extremely moisturizing. The lipgloss colors are more often than not on the sheerer side so anyone looking for super opaque colors might want to look elsewhere. I purchased three and received one free via a coupon code. The three minis are Almost A Ghost, Hellspawn, and The Littlest Zombie and the full size is Living Dead Fabulous. Where to purchase: Darling Girl Cosmetics. They are closed until January 7th however as the owner Susan is going on a much needed family vacation! Price: $2.25 for a 1.5mL Try Me Size (these are purchased through a separate listing) and $5.25 for 3 mL. I know, you can technically get a better value purchasing minis but there is a limit to the Try Me Size (five per order) and if you prefer click pens, you have to purchase the full sizes. Cruelty Free? They are cruelty free as they do not test on animals. Packaging: The Try Me Size comes in a mini lipgloss tube with a mini doefoot wand. If you're familiar with the trial sized Pixie Epoxy or Lip Lustres from Fyrinnae, these are the same packaging. The full sizes come in a click pen. I gave it some thought and I realized that I really prefer using a doefoot applicator. I don't think the click pen brush spreads out the gloss evenly as the gloss tends to get picked up into the brush but you can just apply the gloss with your fingers. I do believe you can put a note in your purchase asking for Satin Stain packaging (which is like a bigger version of the Try Me Size packaging) if you don't like the click pens. Product Description: Zombie Apoca-lips can be worn alone but were made for layering over other lip colors to give them a little pizzazz. Sheer gloss infused with color shifting mica and super reflective mica flake that makes lips sparkle like crazy! The glosses look very bright and bold in the tube but they actually sheer out into very wearable lipglosses that can be worn on its own. 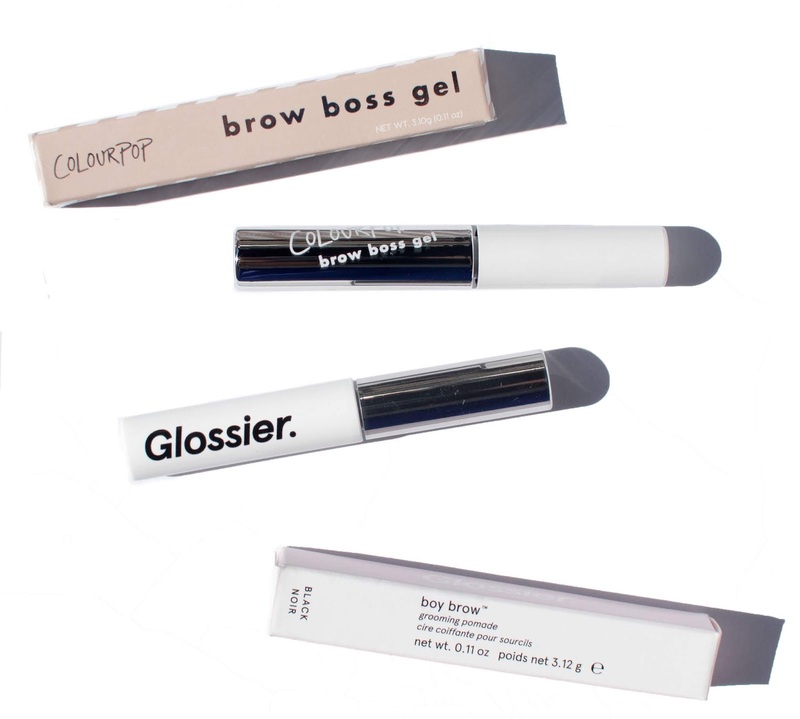 The glosses, with the exception of Living Dead Fabulous (which is marked as a semi-sheer), are marked as sheer glosses meaning that they give off a very light tint. I found Almost A Ghost to have a lot of color, it's not opaque but certainly enough to show itself off. Almost A Ghost and Living Dead Fabulous are more semi-sheer, they're sheer but pigmented. Hellspawn looks especially bright in the tube but actually is quite sheer, easily the most wearable color in the bunch. The colorshift isn't as strong as it appeared in the tube but there is a shift present in the colors. I found that Almost A Ghost had the strongest color shift/duochrome while I felt that The Littlest Zombie had the weakest. The Littlest Zombie has a blue duochrome in the tube but I didn't see that as much when wearing. Hellspawn has a beautiful golden bronze (more gold) shift and Living Dead Fabulous has a light red shift. The more you layer the glosses, the stronger the duochrome. The swatches were done straight from the applicator but when I wore the glosses over lipstick, I applied them with my fingers as I don't like getting lipstick on my applicators. This also helped to better emulsify the gloss with the lipstick color. When the glosses are layered on, you may find that the lipstick will thin out a bit as the lipstick emulsifies with the gloss. Swatch time! Like I said, these swatches were one layer applied using the doefoot applicator and the pictures were taken in natural daylight. I also took pictures of the shift under artificial lighting. In those swatches, I layered the glosses heavier to better show off the shift. Almost A Ghost: "Sheer black loaded with purple and pink color shifting glitter and a smattering of gold flakie" It's misprinted on the actual listing as a sheer milky white but it's obviously not. Easily my favorite for color shifting since it's the strongest and the colored base means it deepens any color I wear underneath it. Straight on, the purple is pretty dominant then the pink and gold shines through at an angle. Hellspawn: "Sheer burnt orange with color shifting mica, shifting from red to golden bronze and a dash of gold flakie" It's deceptively bright and scary in the tube but it sheers out to a beautiful light orange with a hint of red. I think you can see it better in the center of my lower lip. Straight on, the red is prominent then the golden bronze shines through at an angle (you can see it better in the lower half of the swatches). Living Dead Fabulous: "Sheer blackened red with a hint of red shift, blackened gold glitter and a dash of blue flakie" I know in this closeup you can really see the specks of glitter but when you're a normal distance away, it doesn't look speckly. This was probably my favorite "wearable" color. Straight on, the blue flakie and red base is apparent and you get a lighter red shift at different angles. The Littlest Zombie: "Sheer candy apple green with a hint of green shift and infused with super reflective green/gold mica flake" In the tube you can see the hint of blue but on the lips, it's much more subtle and difficult to see. I think at an angle, there might be a darker green shift but it is difficult to tell. 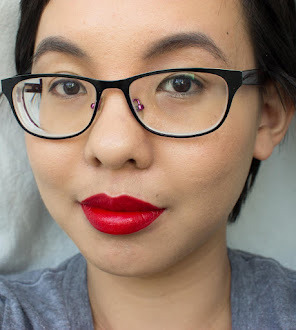 These Zombie Apoca-Lips aren't complete must-haves but I think they're just so cool. They're a really cute novelty and are moisturizing on my lips. Almost A Ghost is my pick if you want something really color shifting/duochrome and both Hellspawn and Living Dead Fabulous are my picks for an everyday wearable color shifter. Disclaimer: I purchased these products for review from the brand. All opinions are my own and I was not compensated for the review. I used a coupon code to receive one of the lipglosses for free. This post does not contain any affiliate links. Looks pretty on the lips! Love the purple one on you! ISSE Long Beach 2013 this weekend!